With a good quality gaming router, you will be able to enjoy better speeds and higher control over your network’s performance. 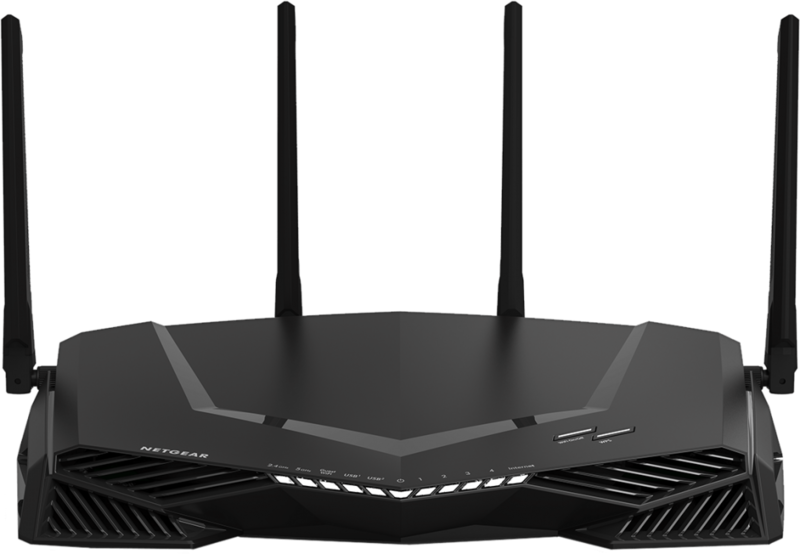 A gaming router can have a significant impact on your gaming experience, but if you haven’t used a device of this kind in the past, it can be difficult to choose between the vast range of brands and models available. In order to make the right choice, you need to think about different aspects. The first things that you need to check are QoS (Quality of Service) and MU-MIMO (Multiple User, Multi Input, Multi Output). These technologies will prevent your gaming session from getting interrupted, even if someone else in your household is streaming media content or doing anything else that requires a lot of bandwidth power. Since online gaming works better when you have a wired connection, it is also important to have a good deal of LAN ports available. However, it is unlikely that you can connect all the devices at home via ethernet. This is why you need to ensure that your network is powered by solid wireless capacity as well. It is advisable to look for routers with a rated speed of AC1900 at least. While this could be too much for some, it is important to have the best possible quality in order to get the most satisfactory results. We offer a list of the routers that offer high quality for gaming. In this list, you will find options for different budgets. How did we select the gaming routers in the list? In order to choose the best routers for gaming, we put these devices to the test using applications that require high bandwidth. We also streamed video, transferred files and browsed the internet. For the final setting, the most recent version of the firmware was used. We checked the performance of each device in 5 GHz and 2.4 GHz frequencies. We also tested at far and close distances, with and without obstructing floors and walls in the middle. The routers in this list provided the best results for gaming and media streaming, making them perfect for your entertainment needs. With C2600 speeds (N800/AC1733), a dual core 1.7 GHz processor and features like beamforming and MU-MIMO, as well as dual USB 3.0 ports, the Nighthawk XR500 is a router that will suit most users. Its Dynamic Frequency Selection (DFS), adds 15 additional unlicensed channels on the 5 GHz frequency to reduce interference. The main downside of this router is the fact that it only has 4 Gigabit LAN ports, unlike other routers that feature 8. The XR500’s Netduma interface provides multiple unique functions (such bandwidth allocation and Geo-filtering that lets you set a range so that the router connects to the closest gaming server) that allow this Netgear router to get ahead its competitors. The Nighthawk XR500 offers solid QoS that manages gaming traffic effectively. Overall, this router provides good performance and its now possible to purchase it for a more affordable price. If you are looking for an advanced solution, consider the RT-AX88U from Asus. This router supports 802.11ax technology and thanks to its 8 Gigabit Ethernet ports, it is capable of handling link aggregation. The AsusWRT interface gives you the chance to manage a wide selection of settings. In addition, it features Adaptive QoS and Trend Micro antivirus. The WTFast GPN-all comes with subscriptions that set this device apart from other routers available in the market. The 5 GHz speeds are another highlight and even if you are playing in a busy server, you will be able to enjoy incredible FPS and an almost imperceptible dropped frame rate when you are streaming videos at the same time. Although this price of this router is high, it is a great investment to make if you are after powerful performance. This is a large router that is powered by a quad-core processor and it has 1GB of RAM, which makes it an improvement over the AC5300 model. The ROG Rapture GT-AC5300 features 8 Gigabit Ethernet ports for wired capacity, and its interface supports Ping Deviation over time, Network Ping and other features that are perfect for gaming. Thanks to the WTFast, it supports faster connections to gaming servers and a yearly subscription to the server is included. The performance of this router is fantastic and you will hardly experience video packet loss while streaming content. The Archer C5400X is incredibly easy to configure and to manage, and while it supports powerful performance, it is not expensive. Although the speeds are not impressive, this router shines when it comes to the 5GHz range and it comes with all the features needed to ensure that you get the best possible experience. You will be able to manage QoS without hassle and the router also includes network security via Trend Micro. It is also possible to blacklist or whitelist some devices. The main downside is that there are no features focused on reducing latency, which is something that you can find on devices of a similar price bracket. Although its performance is not in the level of a super machine like the ROG Rapture GT-AC5300, the Archer C5400X is available for a lower price and it can be set up quite easily. The Killer Prioritization Engine (KPE) makes the WRT32X stand out, allowing it to offer remarkable prioritization features. However, in order to get the best results, the client needs to be a Killer NIC, which is only available on motherboards or notebooks. When it has a Killer client, it is possible to stream four 4K videos at the same time, and you can still play games with amazing speeds. This router also offers great performance when it comes to 5 GHz range. Even if there is no Killer Networking adapter available, the WRT32X works quite well. However, if you already have a Killer NIC, the Linksys WRT32X is the best possible choice. Even if you have to stick to a tight budget, you can get a good quality device that will allow you to enjoy a superior gaming experience. For less than $70, you can get this router from D-Link. It will capture your attention with its design and it has four antennas that look like advanced routers. Don’t expect impressive performance, but considering the price, the DIR-879 is a good solution and it can support great results with 5 GHz. One thing to keep in mind is that it doesn’t have any USB ports. Apart from that, the device works very well and it doesn’t lack other crucial features. For those who want strong performance for an affordable price, the Asus RT-AC68U is the ideal selection. It offers AC1900 speeds, which have become the industry standard and it features a dual core 1GHz processor with 256 MB of RAM and 128 MB of flash memory. The three antennas can be positioned and there is extensive support for DD-WRT, Tomato and other custom firmware. If needed, you can easily flash the router to upgrade its functionality. Unlike other routers, the RT-AC68U can handle the 2.4 GHz frequency smoothly. However, it doesn’t provide the best results when it comes to video streaming. Still, considering its convenient price and flexibility, it is a great option for advanced users who are on a budget. 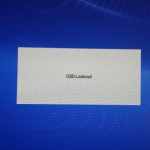 How to Unlock OSD Lockout Problem?